I have been reading mysteries since I was eight or so years old. Like many others, I started with Nancy Drew. As I think back, it wasn't long before I had run through those and started on Mike Shayne and Perry Mason. Even then, I began to see blurbs about comparisons between my chosen fictional detectives and the greatest of all detectives, apparently, the one and only Chief Inspector Jules Maigret of the Flying Squad, created by Georges Simenon. Over time, I have made a literary acquaintance with many iconic Depression-era detectives like Earl Derr Biggers's Charlie Chan, Raymond Chandler's Philip Marlowe and Dashiell Hammett's Continental Op––but Maigret was on that list we all have, the "I'll get to it sometime" list. Just recently, I came across a set of new publications from Penguin Press. Each month, beginning in Fall 2013, Penguin is re-releasing one of the 75 Maigret books, as chronicled by Simenon, and the time was right to dive into these books. Maigret was introduced in 1931 in Pietr-le-Letton. It's always good to be able to read the genesis of a character, and I began with it. 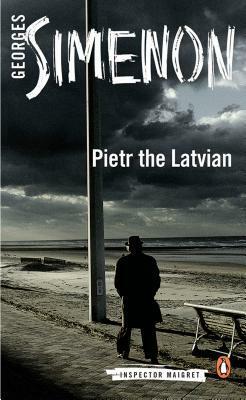 I read it with the most recent English title, Pietr the Latvian, also known in the past as The Case of Peter the Lett. The case begins as Maigret prowls around his frigid office in the center of Paris, stoking a coal fire, smoking a desperate pipe and waiting for more news about the journey of a devious con-man making his way to Paris by way of the train Étoile du Nord. As was the custom of those days, all Maigret had was a word picture description sent by telegram in secret police code to help him identify Pietr from Latvia. This he memorized, especially the ear anatomy because it was one thing that was hard to alter or disguise. 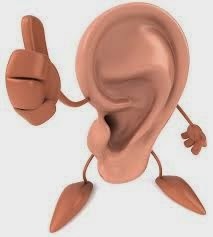 Maigret was certain that if he saw the correct ear, he would have his man. "Ear unmarked rim, lobe large, max cross and dimension small max, protuberant antitragus, vex edge lower fold, edge shape straight line." Even knowing a bit of ear anatomy didn't help me decipher this code. Maigret is described as a giant of a man, but Simenon puts it more poetically: "He had a way of imposing himself just by standing there. His assertive presence had often irked many of his own colleagues. It was something more than self-confidence but less than pride. He would turn up and stand like a rock with his feet wide apart. On that rock all would shatter, whether Maigret moved forward or stood exactly where he was." I liked Maigret and Simenon from the start. The style of writing is concise and straightforward, and it was easy to pass over the antiquated features of policing in the thirties. Even though Maigret was a member of a flying squad, he mostly had recourse only to public transportation or a bike! He often used messengers instead of a telephone, although these were available. Far from being a romantic or dashing fellow, Maigret was deliberate and thoughtful. He thought about his wife at times, but in these early books she was a minor character at best. 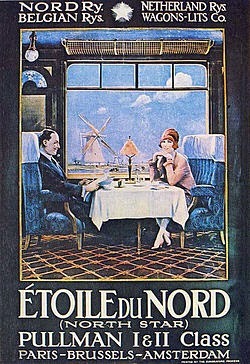 When Maigret meets the train on arrival in Paris, he is first confronted with a dapper gentleman detraining who fits the description to a lobe, but he is immediately called to see the corpse of a very similar gentleman, recently killed and whose otic whorls and folds were eerily similar. But Maigret is sure of his target, and the game of cat and mouse begins. Maigret stories differ from others in the genre because the details of solving a crime are less important than the detective's journey of discovering what he can about the characters that flesh out the plot. Simenon felt that Maigret's driving force was a search for the "naked man"––man without his cultural protective coloration. In Pietr the Latvian, the scoundrel uses plenty of protective coloration, but Maigret is an implacable force. As he gets nearer to his prey, the desperate man turns the tables on him and he is shot while crossing the street. A through-and-through bullet means little to Maigret, but when someone close to him is murdered by sophisticated means, he steels himself to go on. There is plenty of drama with a dollop of melodrama: "It was fearsome! Tragic! Terrifying!," which really makes for a page-turner. Maigret uses his intuition to try to understand characters' motives and what drove them to their destructive behaviors. He views most people with compassion, tempered by a reality-based cynicism. This is more obvious in the second book of the series, The Crime at Lock 14 (also published as Maigret Meets a Milord). In this case, a woman is found strangled at a lock along a busy river. Who she was and how she got there is a mystery until Maigret begins to unravel threads that lead back into the past. The world of canal, barges and locks seems like it belongs in another century, but the human motivations are all too modern and pervasive. Maigret begins to appreciate what drove the murderer and while he hounds him implacably to his death, he still allows the man a remnant of dignity. 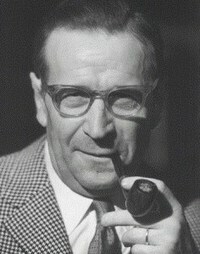 Georges Simenon was born in 1903 in Belgium, but his life took him to France and the USA after World War II and, finally, to Switzerland. 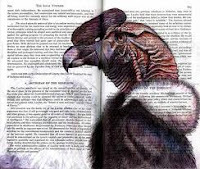 He wrote more than 200 books under as many as 16 different pen names. What made him stand out was his spare, direct prose that occasionally was poetic. He could evoke psychological tension beautifully while, at the same time, keep a calm tenor as a counterpoint. One constant theme is the isolated existence of the abnormal individual whose neurosis instigates criminal troubles. When Maigret begins to understand for whom he is looking, the cases are soon solved. It seems that there have been new editions of Maigret mysteries a couple of times a decade, so it may not be an exaggeration when Simenon is referred to as one of the greatest novelists of his time. He has been compared to Chekhov and Hemingway, because he portrayed the bleakness of human life in a way that today we would characterize by the phrase "It is what it is." The Dancer at Gai-Moulin came out in September 2014. October's release is The Bar on the Seine. The Shadow in the Courtyard and The Saint-Fiacre Affair will follow in November and December. I can't wait to spend some snowy days with Maigret.